This month’s cover illustration, Mashrabi (circa 1945), is a gouache on cardboard painting (58 cm x 47 cm) by Hassan Fathy, a celebrated Egyptian architect and artist. It is from the Hassan Fathy and Regional Architecture Collections of the Rare Books and Special Collections Library (RBSCL) at the American University in Cairo (AUC). 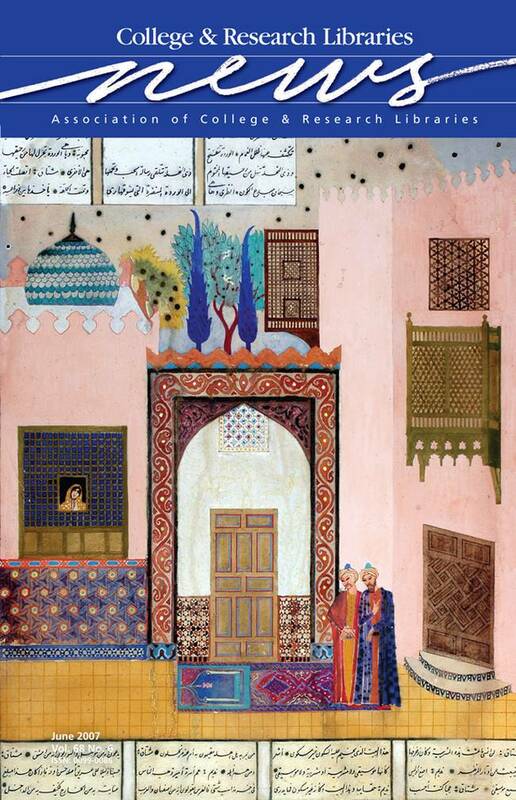 Fathy here reproduces an architectural element (a mashrabeya screen) imitating the style of traditional Persian miniatures. Visit library.aucegypt.edu/rare/index.htm for more information on AUC’s RBSCL.